Could the Nissan Murano be assembled in India? 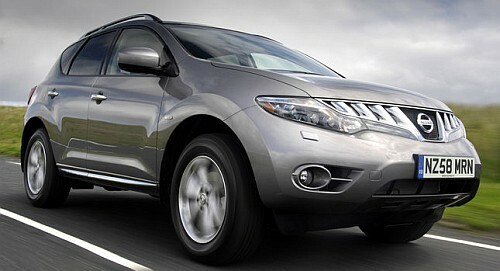 Has anyone wondered why Nissan hasn't launched the Murano in India yet? Could it be possible that Nissan is looking at the CBU route for this stylish one-off SUV which has all the credentials to take on cars like the BMW X1 and Toyota Fortuner? The new engine on the European Murano is a 2.5 dCi which benefits from a new direct injection system operates at 2,000 bar, up from 1,800 bar, a redesigned cylinder head with parallel port and a new variable nozzle turbo (VNT) with electric control replacing the hydraulic system. The upgrades help generate 190 horsepower and 450Nm of peak torque. This four cylinder engine is offered only with a six-speed automatic transmission and 4x4 system. Performance and economy statistics will come close to the car's launch date in September.